The essence is percent scaling. More reliableAndroid-ScaleLayout The percentage of the design and devices screens.android-percent-support-lib The percentage of the parent and child views. 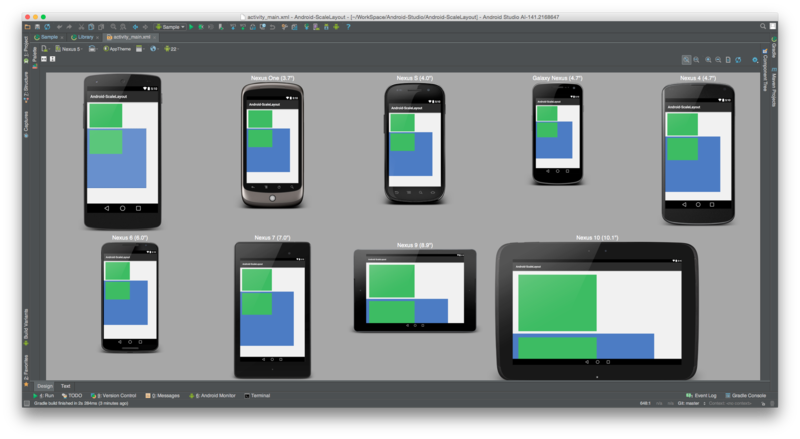 More convenienceAndroid-ScaleLayout directly write the design size on layout.xml.android-percent-support-lib need to calculate percent. Only need to replace FrameLayout LinearLayout RelativeLayout to ScaleFrameLayout ScaleLinearLayout ScaleRelativeLayout. Width is default, you can also changed using attr.